When facing difficult legal challenges, it is important to have an experienced lawyer on your side who cares as much as you do about the outcome of your case. 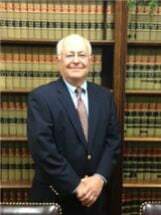 I am attorney Michael W. Ferrell, and for more than 35 years, I have helped individuals and families through the difficult times in their lives. Along the way, I have succeeded in earning a reputation for excellence in the practice of law and in my service to clients. I operate a general practice law firm, with an emphasis on serving clients who need assistance with matters involving probate, wills, divorce, child custody, child support, stepparent adoption and child guardianship. My office is located in Mt. Juliet, and I represent clients in Wilson County, Lebanon and throughout Middle Tennessee. The most important aspect of my law firm is my genuine care and concern for my clients. I am committed to providing them with exceptional legal representation at a great value. As a solo practitioner, I am able to eliminate the excessive costs that are often associated with larger law firms. In addition, my clients work one-on-one with me — not with an associate or a paralegal. I answer my phone, I am accessible and I am responsive to my clients' needs. The right attorney can make all the difference. Call the office of Michael W. Ferrell, Attorney at Law, at 615-754-5849 to arrange a free initial consultation. If you are unable to come to my office, I will meet with you at your home, in a nursing home facility or at another convenient location upon special request. For your convenience, I accept credit cards, and flexible fee arrangements may be available.